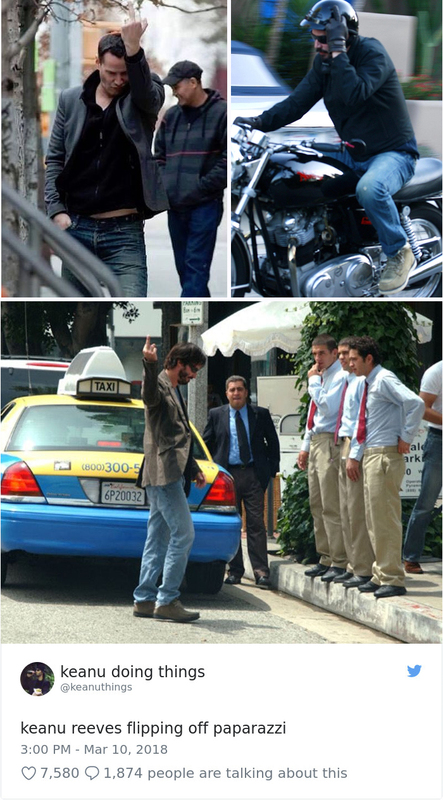 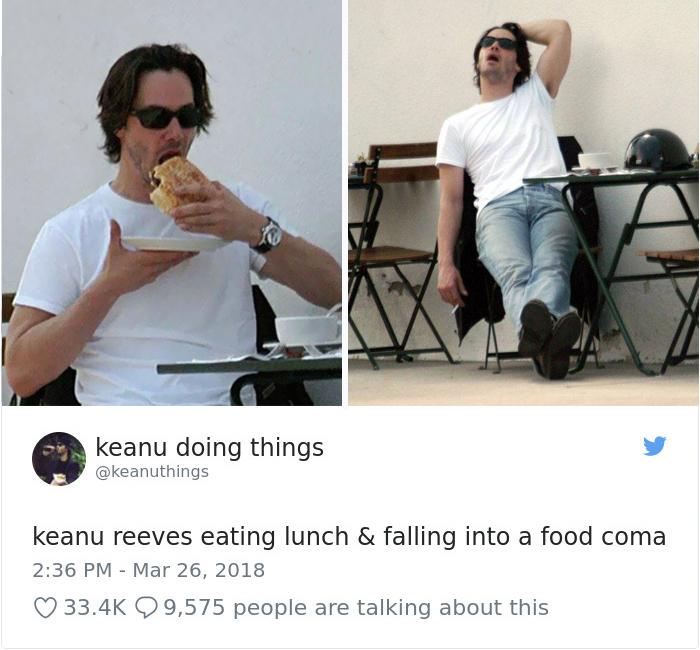 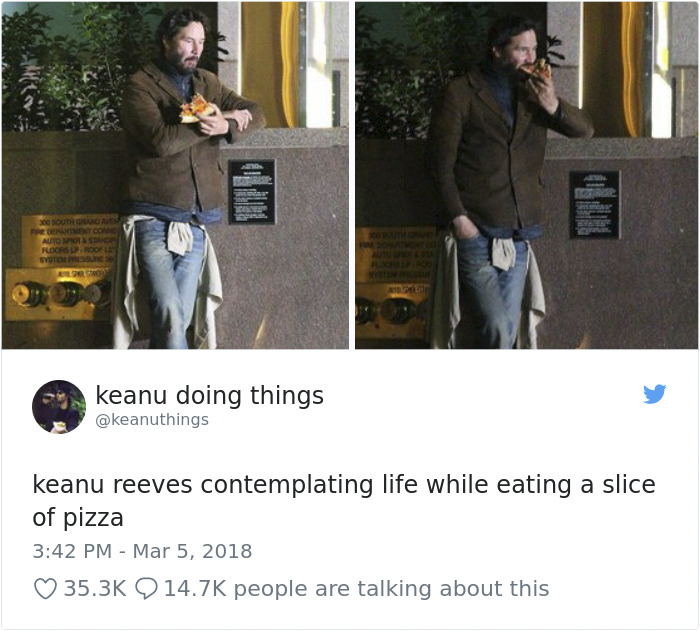 Keanu Reeves is one of the coolest actors to ever grace Hollywood, even when he's doing random things. 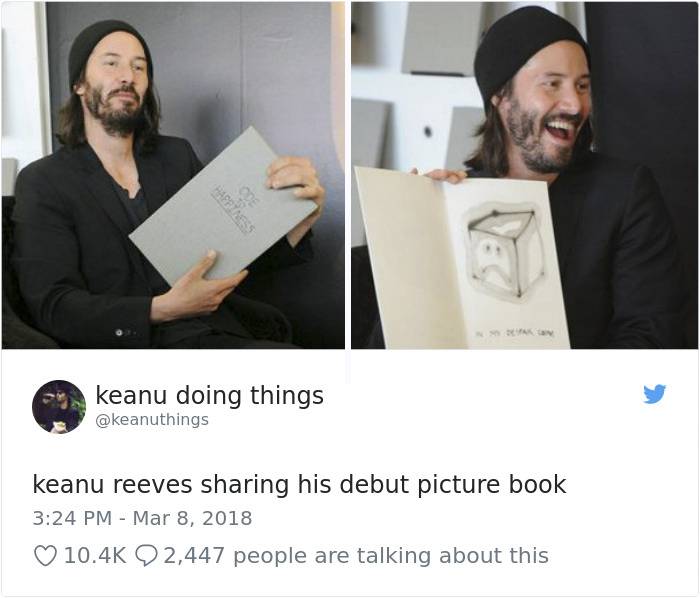 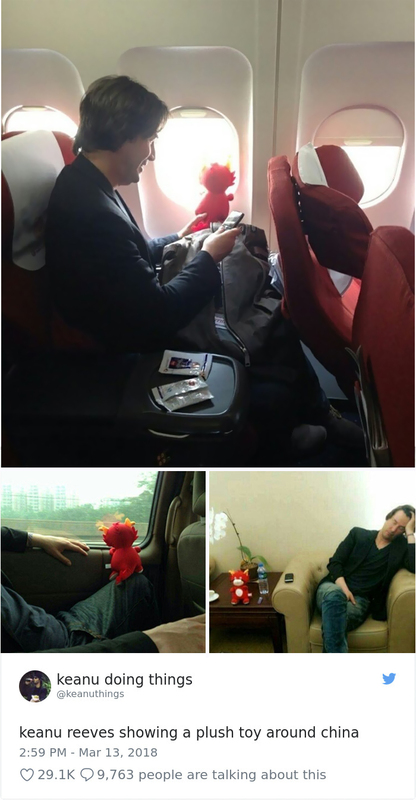 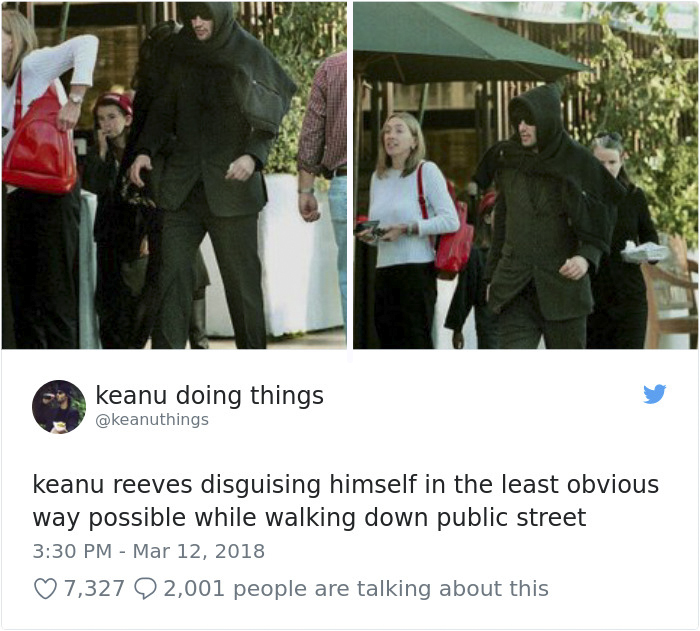 Now his randomness has its own twitter account by the name of 'Keanu Reeves Doing Things', and you will love it! 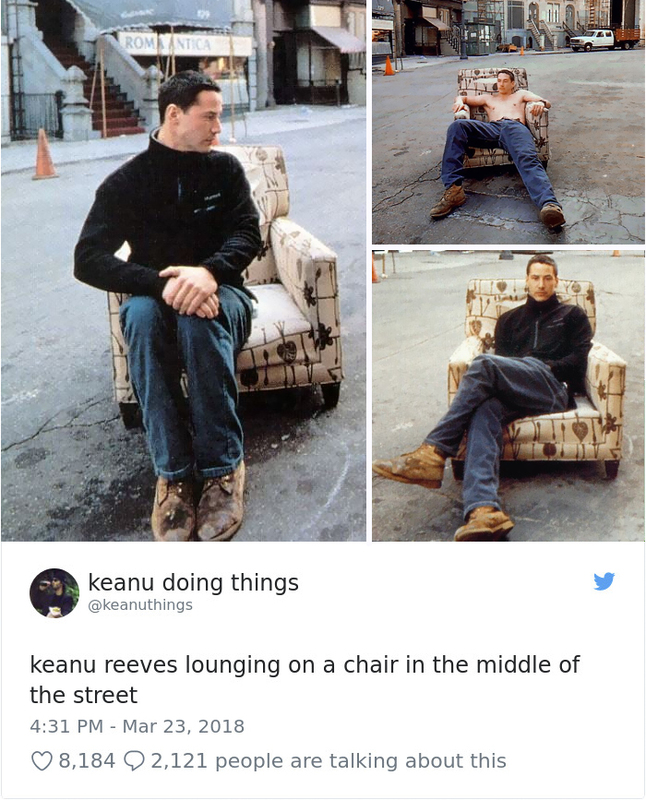 He was the daredevil officer Jack Traven in Speed, the brooding Neo in The Matrix trilogy and the space-case Ted Logan in the iconic Bill & Ted's Bogus Journey that won our hearts over and over again. 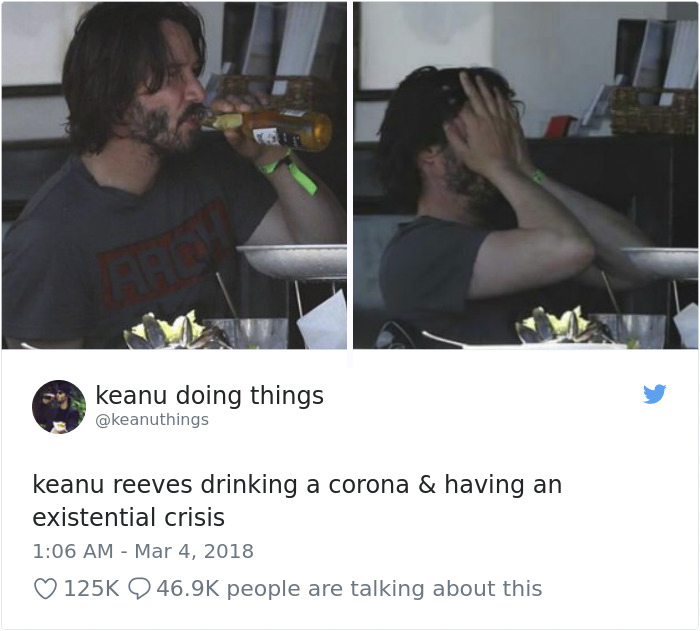 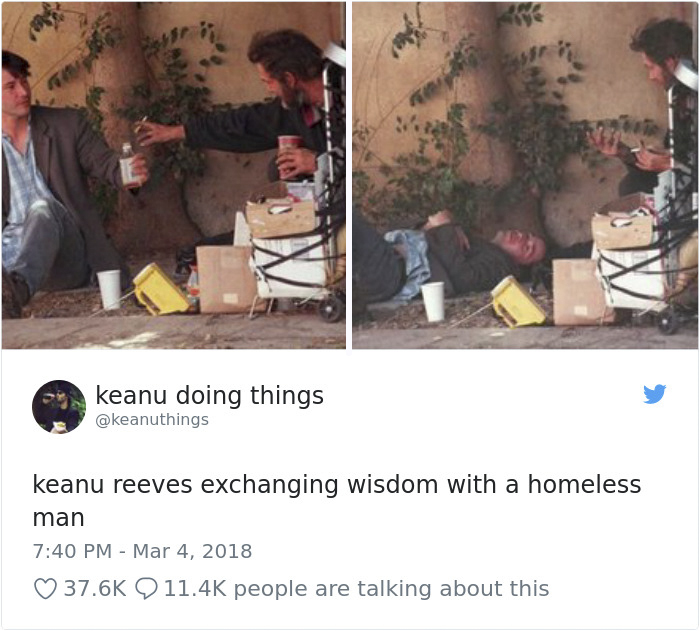 Possibly the coolest actor in Hollywood, Keanu Reeves isn't fazed by his fame and saves his love for his fans rather than the glamorous lifestyle he could have had. 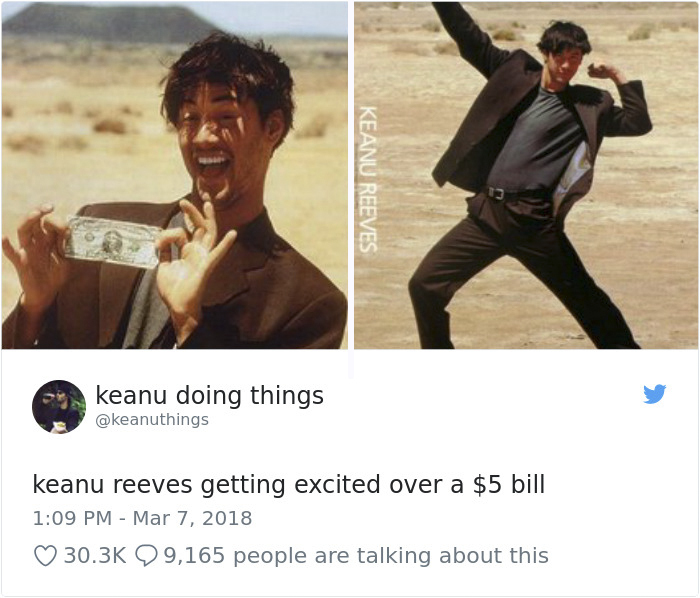 That's why it's no wonder that he was the subject of some of the funniest memes in recent years, like 'Sad Keanu', that went viral on the World Wide Web. 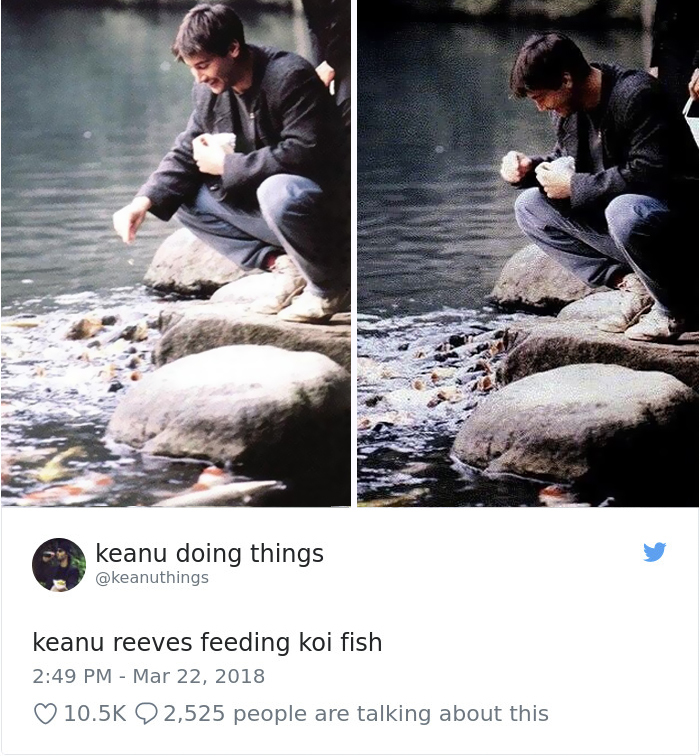 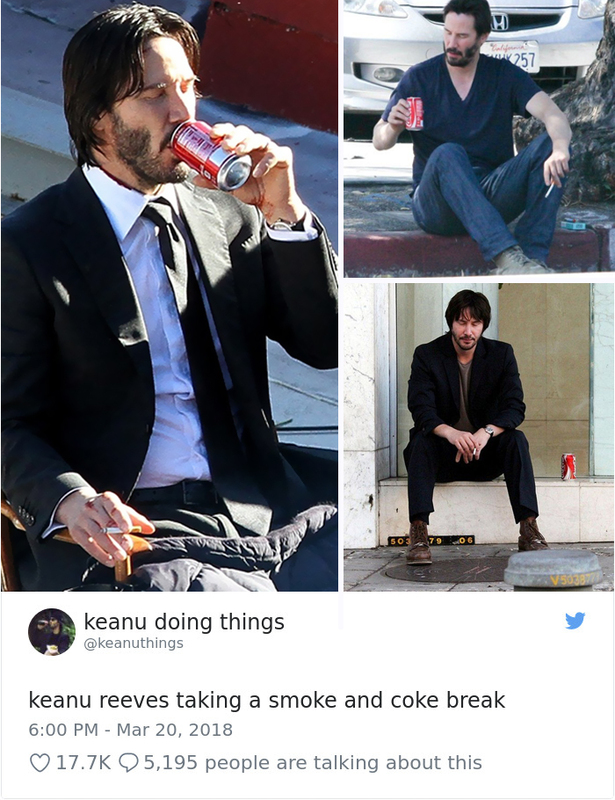 Well, Keanu fans are back at it again, and this time their tweeting about the actor doing things just like us mere mortals. 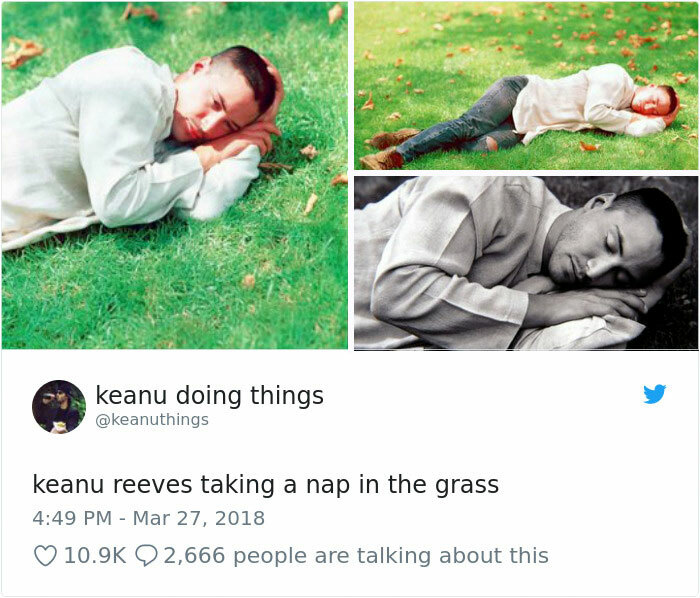 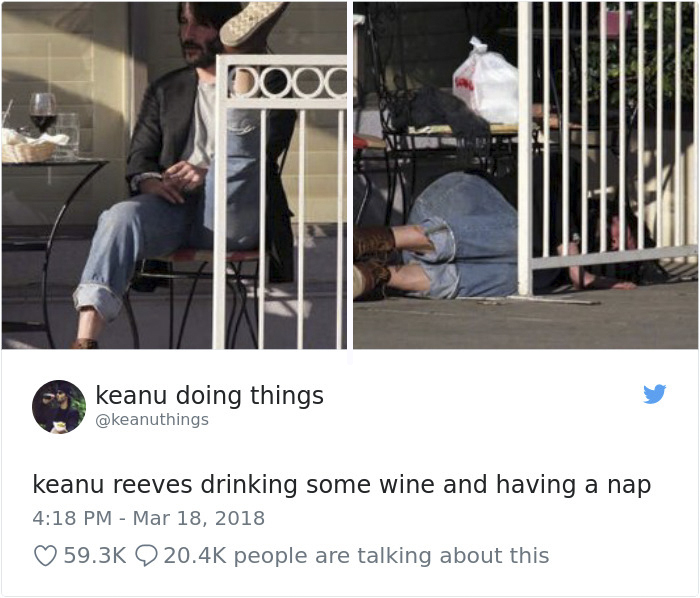 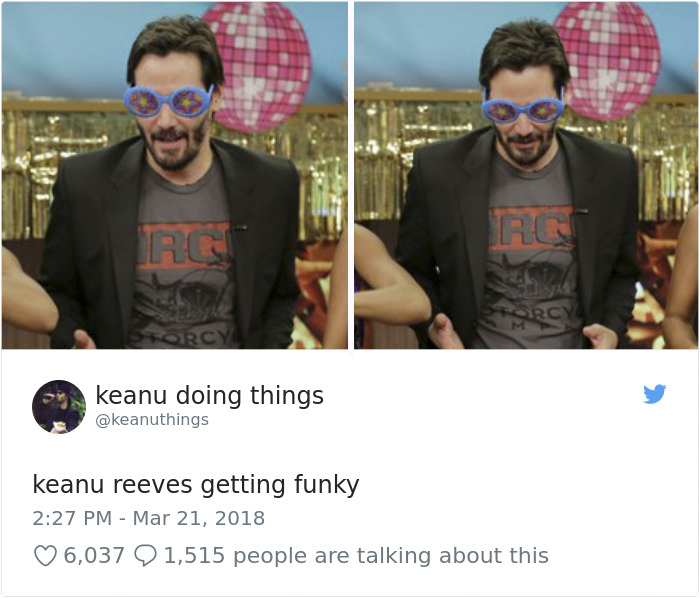 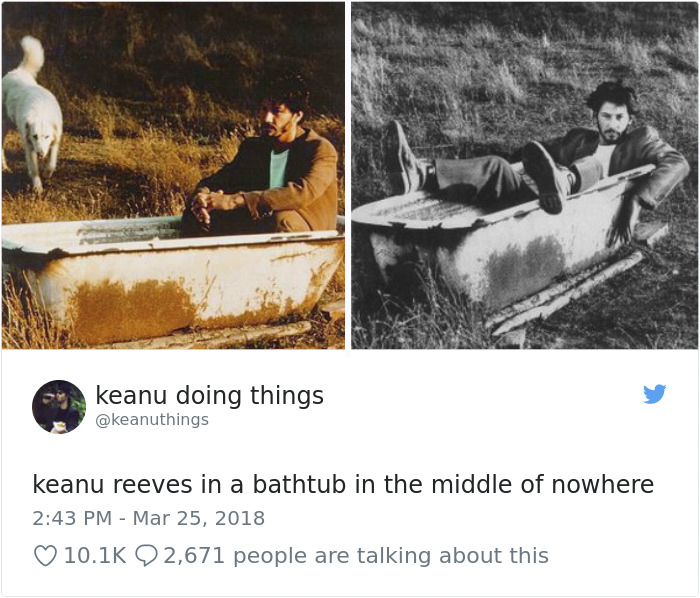 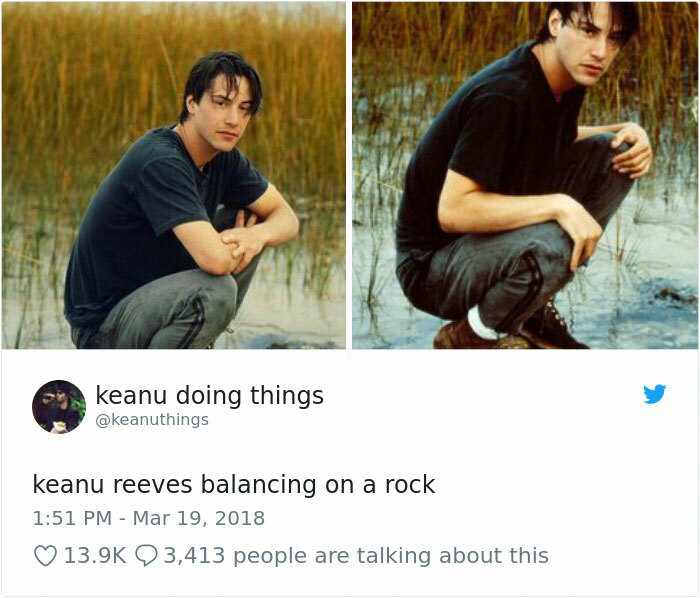 The randomly genius twitter account might have been boring if it was about someone else, but Keanu is definitely not a boring dude… So, scroll down and check out Keanu doing things with funny captions to help you figure things out.